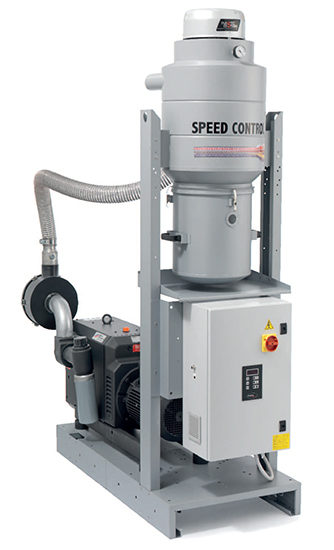 The suction units PM series with powers ranging from 3 to 30 kW can be used in pneumatic conveying systems for throughputs up to 4500 kg/h and distances up to 200m. Application in centralized feeding system Matrix. •Side-channel pumps from 1 to 3 stages. •Self-cleaning filters with polyester cartridges and dust-collection bin. 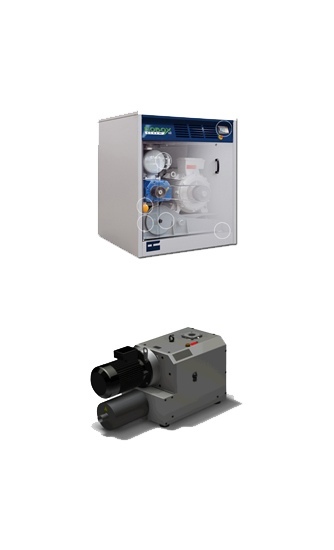 Suction units can be integrated on a MATRIX centralized system or PLC Siemens control. The SPEED CONTROL function with inverter and pressure transducer automatically adjusts the conveyance speed. This prevents the deterioration of the polymer and results in energy efficiency.